There's a lot to like about watchOS on the Apple Watch, but if there's one feature that divides people, it's the way apps are presented on the smartwatch. By default, all Apple Watch models, whether it's Series 4 or the original, feature what many people like to call the honeycomb app grid. That's the place where all of your native and downloaded apps live. For some, it can be a bit fiddly to launch or select apps when they're all crammed in together. Thankfully, when Apple launched watchOS 4 a couple of years ago it decided to offer a simpler list view option that organises your apps alphabetically instead. If that honeycomb grid is not for you and you'd like to switch things up to the list view, here's a breakdown of how you can do it, no matter which Apple Watch model you have. Once you're on that app screen, press firmly down on the screen, utilising Apple's Force Touch display tech, to open up a menu screen. From this menu screen you'll now have the option to select between Grid View and List View. 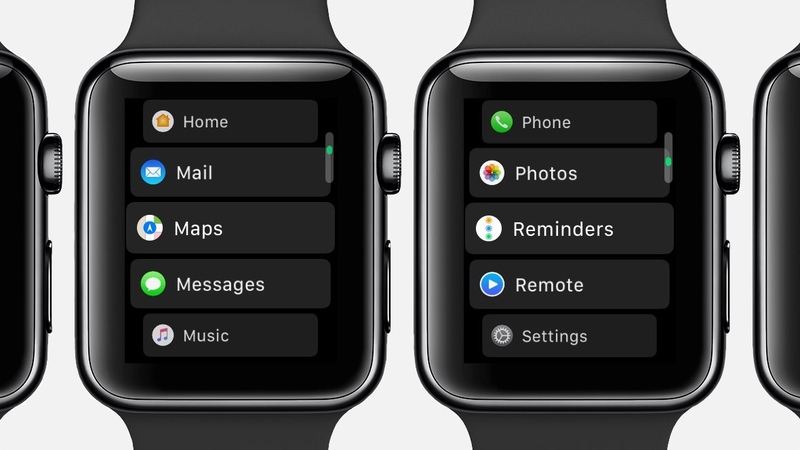 Tap on the view you want and the Watch will instantly change to the new look. Now you can use twist the Digital Crown to scroll through the list of available apps, which should now be displayed in alphabetical order. Unfortunately you cannot change how these apps are listed, so you'll have to live with scrolling from A-Z. If the list view is not for you and you want to go back to the honeycomb grid, simply press down on the app screen again to launch that menu screen where you can revert back to a screen filled with tiny app icons.